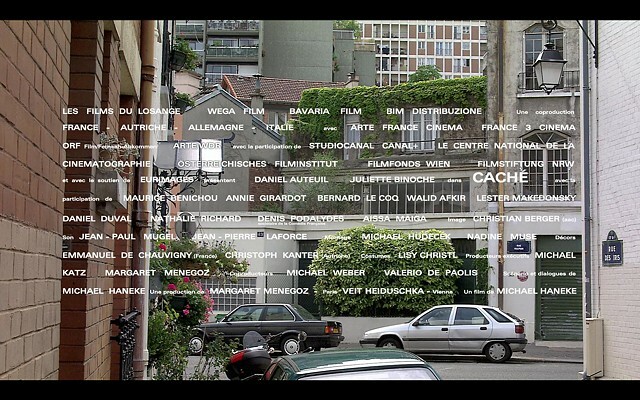 The film Caché is set in contemporary Paris. At the beginning of the film we see the facade of a house which first appears to be a still photograph, and is then revealed to be a video recorded onto VHS cassette. The house depicted is the home of Anne and Georges, the film's white, bourgeois protagonists. We discover quickly that the footage we are watching is a recording by an unknown agent of the protagonists' home, which has been delivered to their door. This initial surveillance shot is overlaid with the film's credits.